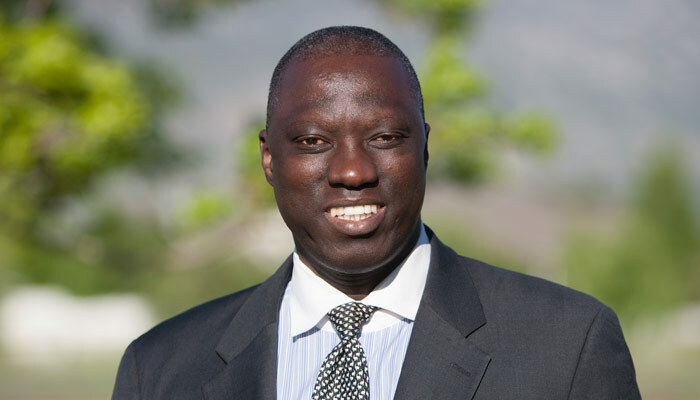 While many people thought the first Mormon president in the world would be Mitt Romney, it may be a man named Yeah Samake instead. He is running for president of Mali, a small African nation that is 95 percent Muslim and in great danger from extremists. He, his wife, and his children are the only Mormons in the entire country, which some see as an advantage, since it makes him neutral where religion is concerned. He’s not in a position to favor one religion over another and can help to bring about separation of church and state. His story is one right out of American pioneer days. One of eighteen children, he was born to a family experiencing great poverty—so great he would wake up at night from the intense hunger pains. However, his father told him education would be the key to a better life for him. Despite the sacrifices involved in not having the children at home to help with the farming, and despite warnings by neighbors that the family would go hungry, his father vowed they would not grow up illiterate. Samake went to school and received a bachelor’s degree in Mali.He was unable to get a teaching position due to the country’s inability to pay, so he returned to his village and offered to teach the children for free. He received a Book of Mormon in English from a Peace Corp worker and he read it. While volunteering as a middle-school English teacher, he was given the opportunity to come to the United States under sponsorship of a Mormon family, to study at Mormon-owned Brigham Young University in Provo, Utah, where he met his wife, Marissa and received a master’s degree in public policy. He also began meeting with missionaries, taking the “discussions” (a series of lessons designed to introduce people to Mormonism) in various places. Missionaries were concerned about his safety if he returned home a Mormon, but he assured them his country respected religious freedom and he was baptized in New York. When he returned home, he went back to Ouelessebougou and formed an NGO that built fifteen schools in his country. Each year, American doctors come to the country to provide free health care. Although he could have stayed in the United States and attained citizenship, he felt he could do more good in Mali. He ran for mayor. After being elected, he traveled to each of the 44 villages and promised the leaders that if they would pay their taxes, he would not use the money for his own benefit or to allow others to do so. He formed an unusual government program in which each municipality sent two people to a special council every three months to discuss the needs of the region and to allow them to see for themselves how things were being run. His region went from near the bottom to near the top. Interestingly, he used a leadership format he learned as a Mormon convert in the Elder’s Quorum. The Elder’s Quorum consists of men eighteen and older who hold the priesthood. Mormons have a lay priesthood held by all worthy males twelve and older. There are several levels of priesthood and men are generally elders when they enter adulthood. He utilized the communications system he learned while participating in these councils in the United States, in which the person at the highest level communicates information to the next level. Those at that level take the communication to those they oversee. This continues until everyone who needs information receives it. Information can also travel back up the ladder until it reaches the level required to meet the need. In addition, each level must provide accountability for their responsibilities. When moved into the secular world, it allows a government to run openly and efficiently. He then decided to take his plans higher and chose to run for president. 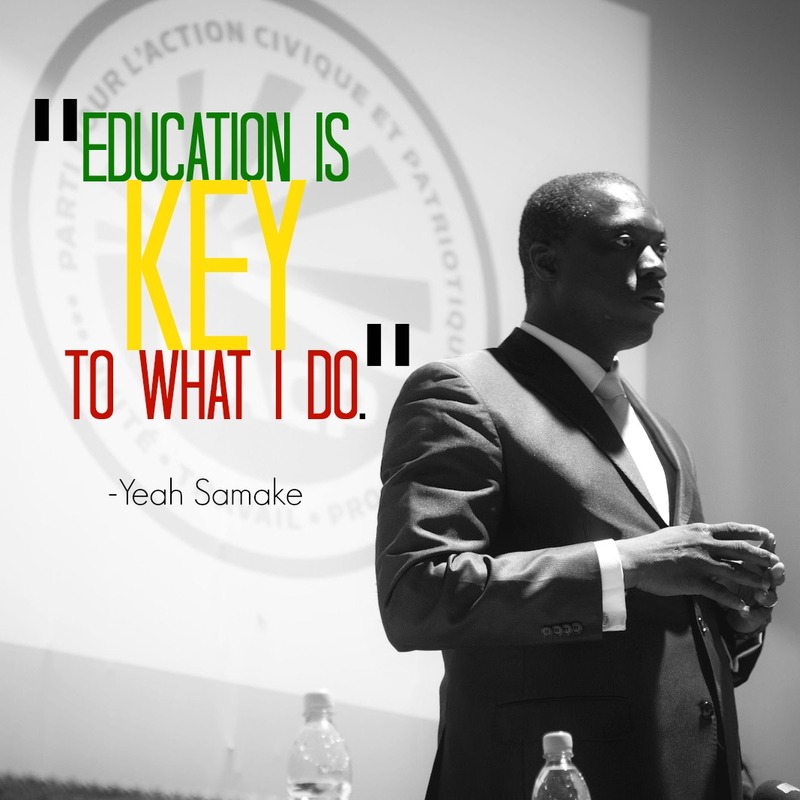 Samake believes that democracy can bring his country out of its deep poverty. It needs to be run by elected local leaders, to establish integrity, to meet the needs of the poor, and to encourage self-sufficiency, he says. Of course, education is also critical to his plan, since he knows from personal experience it is the most important way to lift people out of poverty. His thirteen years of experience running a non-profit organization in the United States, as well as his leadership experience as mayor, has helped him to understand what people need to emerge from poverty into a more successful life. He says he is running for president to help his country. On 28 July 2013, the first round of elections was held in Mali. No candidate received greater than 50% of the votes, causing the Malians to return to the polls on 11 August to cast their vote again. The results of the second election yielded a choice between two finalists – Samake Soumaila Cisse and Ibrahim Boubacar Keita (IBK). Samake, a contender in the presidential race, and the only member of The Church of Jesus Christ in Mali, has been asked by both prospective candidates for his support, and he has declined on both accounts. Samake based his decision on the fact that both candidates have been very active in the Malian political arena for some time, and each have held positions of power for the past 20 years within the government. This means that they were a part of the old regime that has brought about the problems that Mali faces today. Of the two candidates, Ibrahim Boubacar Keita (IBK), running for president for the third time, is considered the favorite. Where Samake’s decision will lead him, or what may be in store for his family from this point forward is uncertain. However, one thing does remain certain, and that is Samake will always remain true to his values.